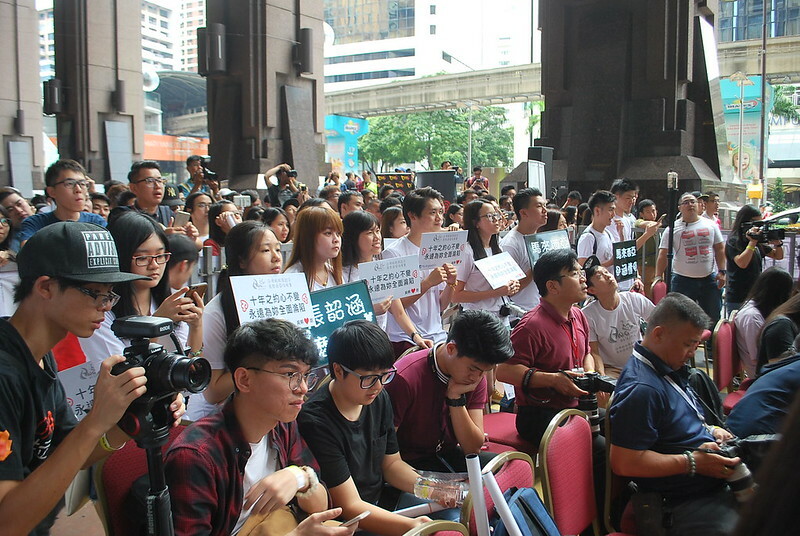 It’s a rare occasion to find a pop star coming to visit a country a month before their concert, but Mandopop sweetheart Angela Zhang is not your average celebrity. 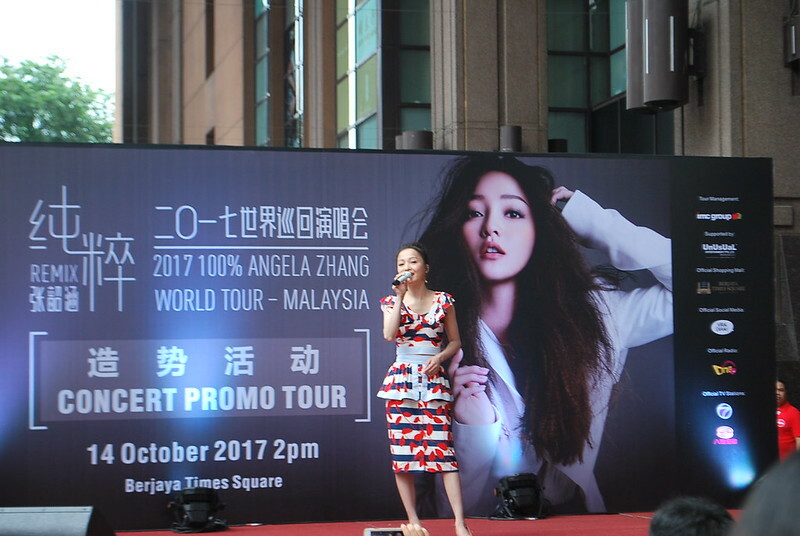 This petite powerhouse made a trip all the way to Kuala Lumpur to meet her fans and to tease a bit of her upcoming show: REMIX 100% Angela Zhang World Tour 2017 - Malaysia. This tour comes off the back of her 2016 100% Angela Zhang World Tour last year. The Group Chief Operating Officer (COO) of IMC Live Group Malaysia Sdn Bhd, Leonard Theng, was present to officially kick off Angela’s promo tour in Malaysia. Together, Leonard and Angela used hammers to shatter an ice sculpture. This gesture of breaking the ice symbolises a new beginning, or mustering up the courage to challenge yourself to new things. This was especially meaningful for Angela as her upcoming concert in November would be her first ever solo concert in Malaysia. 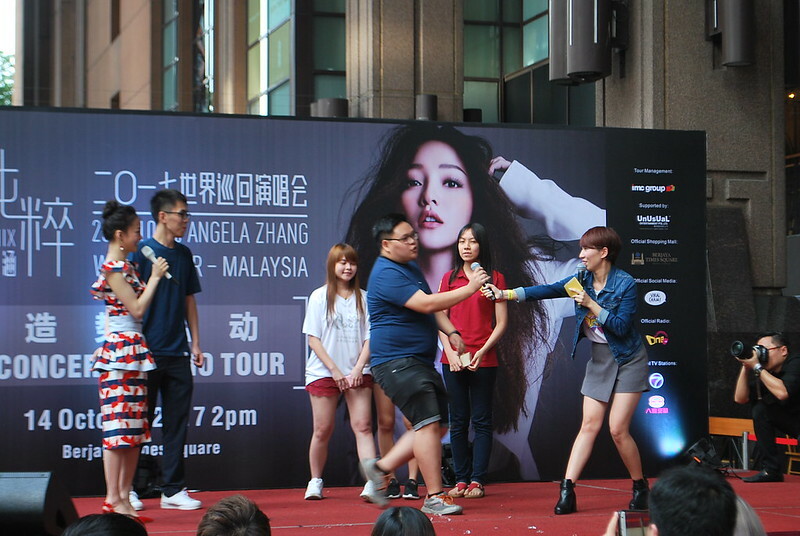 Fans of Angela showed up to give her a warm Malaysian welcome and to grab a chance to see her in person at Berjaya Times Square before the concert day. Despite having 16 years of experience in the music industry, the superstar has not lost her down-to-earth nature and appeared to be delighted to get up close and personal with her fans. It’s difficult to deny that Angela has a certain energy about her. Even though she had just flown in the day before, she was generous with her time and lifted everyone’s spirits. 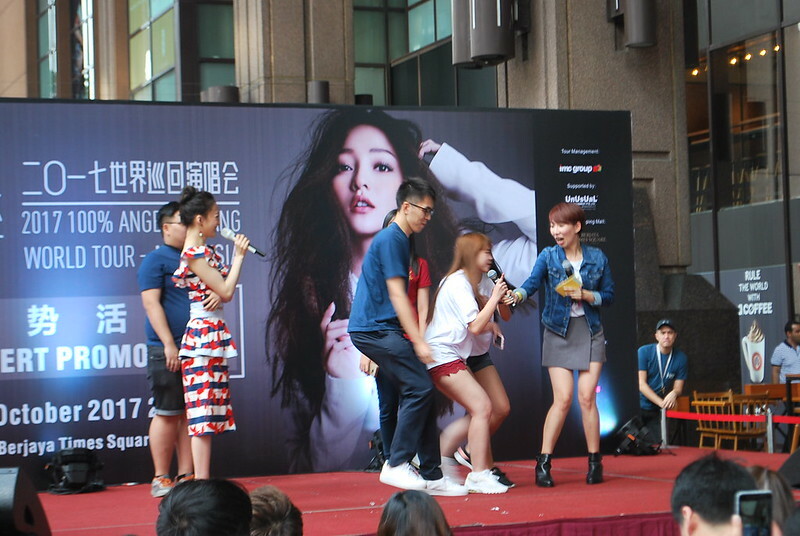 Angela invited some of her loving fans on stage to get to know them better and sing with them. 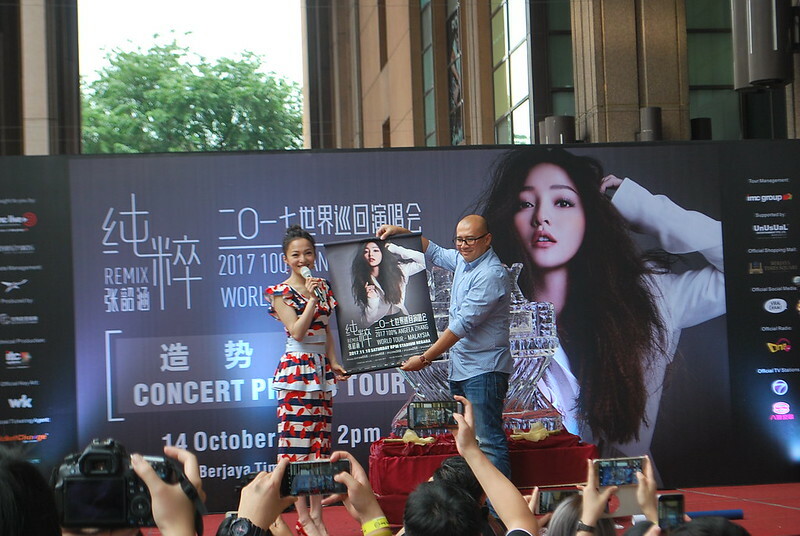 Her fans came from far and wide, some even coming all the way from Johor, Taiping, and China just to catch a glimpse of their favourite star. Angela is not only a talented artist, but a sweet and kind-hearted one. 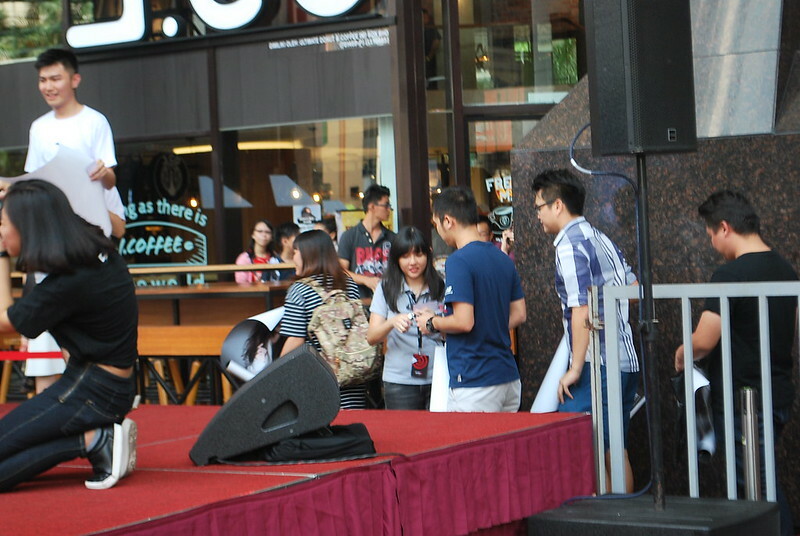 This was seen through her generosity of gifting a signed album to each and every one of her fans who came up on stage. While Angela shared her plans for the show, she revealed that this concert was an opportunity for her to challenge herself and her skills as a performer. She created this tour to reinvent her music. As the title of the tour would imply, Angela is using this opportunity to dive into the world of experimentation with her music - to dabble in new and exciting things. It was clear to all in attendance that Angela is a very passionate performer, pouring all her energy into preparing for this tour. “My 2017 REMIX concert is almost completely different from last year’s concert. As a promise to my fans to bring them a whole new ‘REMIX-ed’ experience, I have remixed most of my songs and prepared brand new outfits for my performances. With this, I hope that my beloved fans can take away new memories which will stay with them forever,” said Angela about her tour preparation. The lucky fans in attendance got to hear Angela perform one of her greatest hits from her tour, ‘Invisible Wings’. 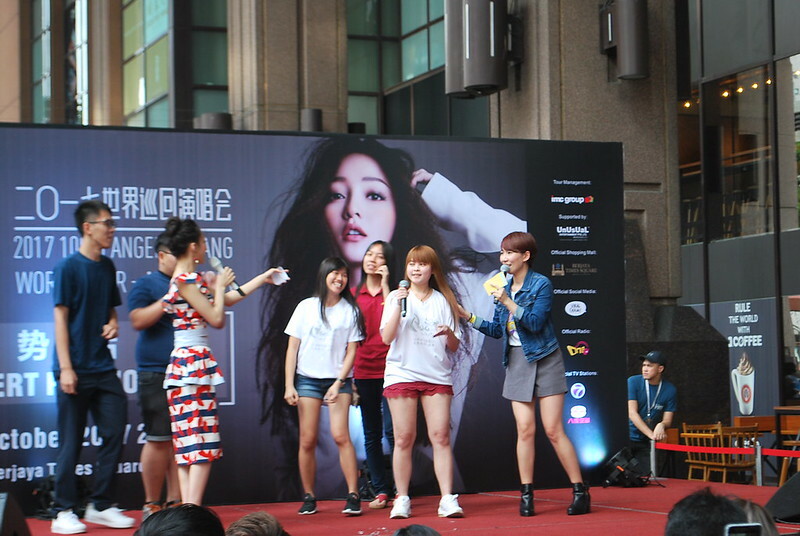 The fans swayed along to the music as she serenaded them with her angelic voice. 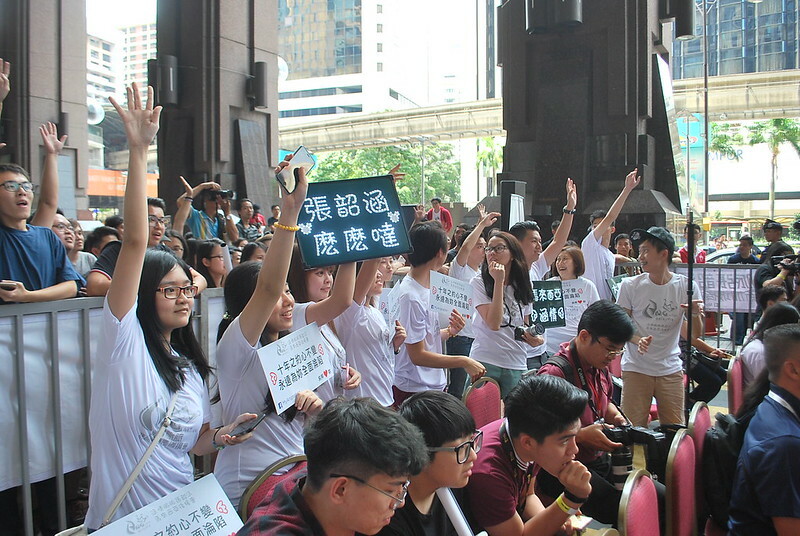 As soon as she was finished singing, wild cheering and clapping erupted from the audience. Angela mentioned that she put a lot of thought into choosing a song for her Malaysian fans and eventually settled on ‘Invisible Wings’ as it was tradition for her to perform this immensely popular song first in every new country that she visited. Don’t miss out on a chance to watch this brilliant performer live when she returns to Malaysia this 18th November 2017 at Stadium Merdeka. Tickets are available on http://ticketcharge.com.my. 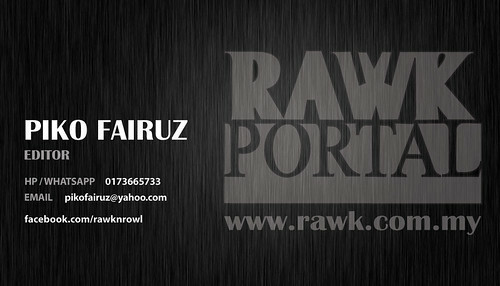 Ticketing details: VIP: RM568, PS1: RM468, PS2: RM368, PS3: RM268, PS4: RM188.